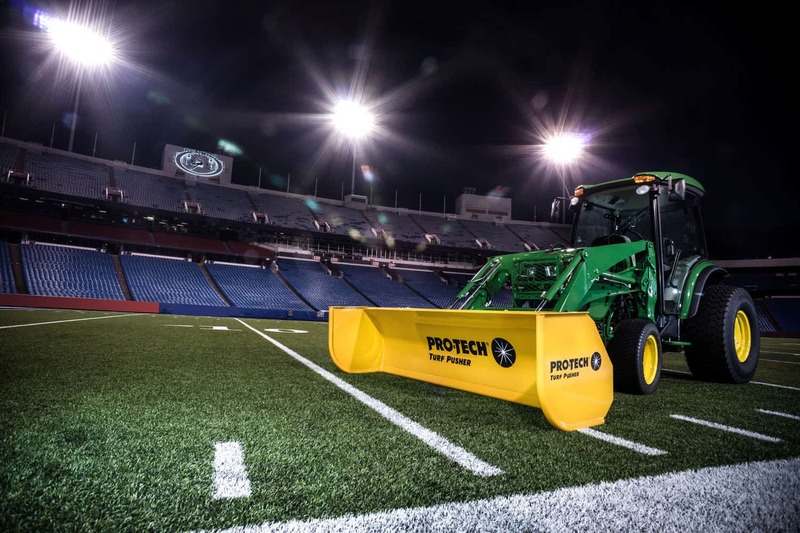 The Pro-Tech Turf Pusher is the first snow plow designed specifically for removing snow from sports fields. 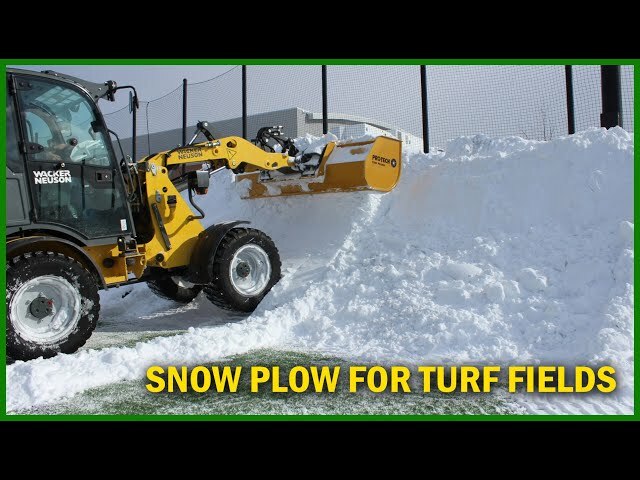 Clearing snow from artificial turf or natural grass athletic fields can be a risky and time consuming business. 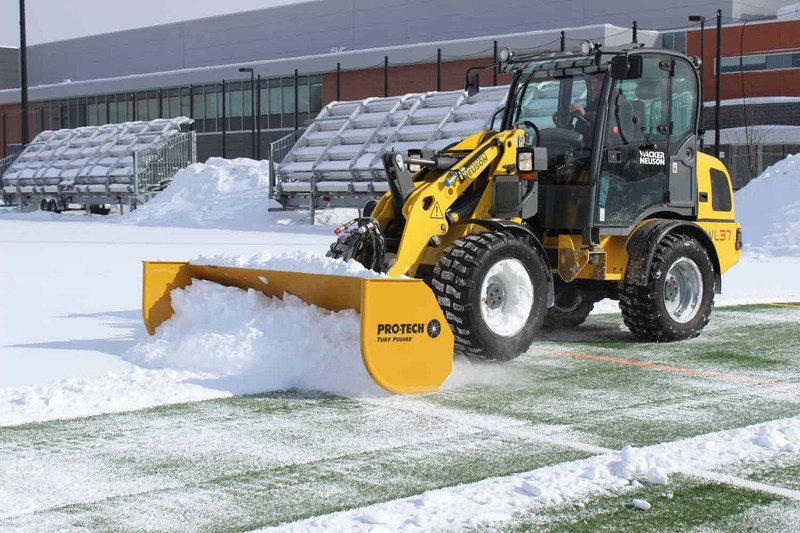 Snow can delay or even cancel events and many grounds workers are hesitant to even remove snow if it’s on an expensive artificial surface. 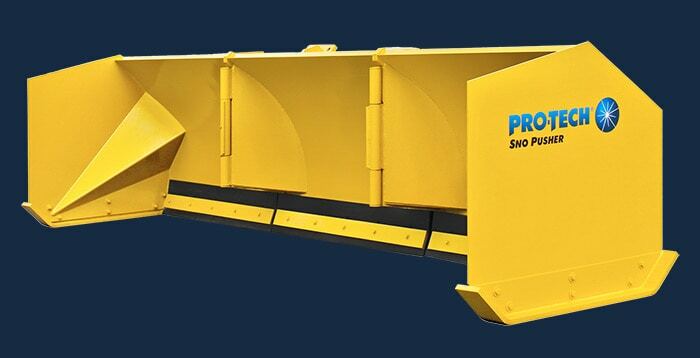 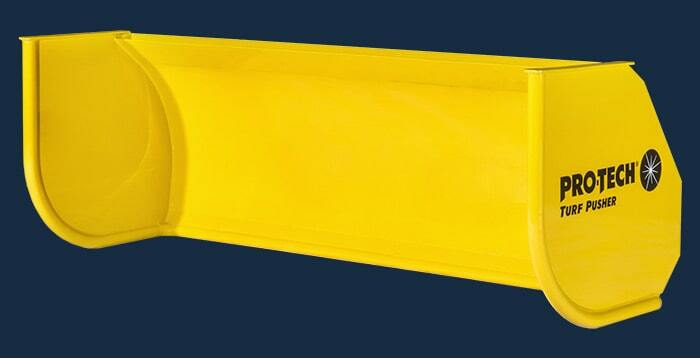 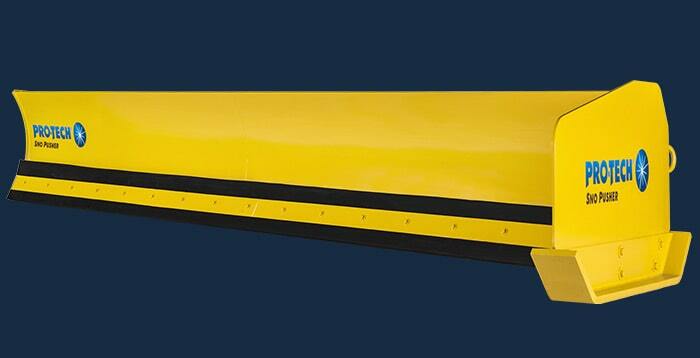 This snow plow for turf smoothly glides over turf and field covers; the tubed edge minimizing any surface disruption. 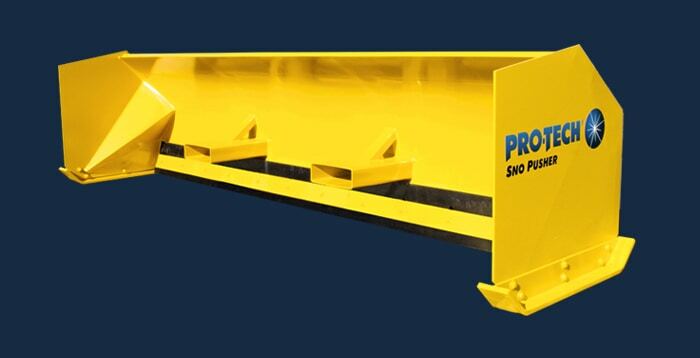 Multiple connection options are available and the bolt-on design allows customer to easily swap coupler styles if their prime mover changes. 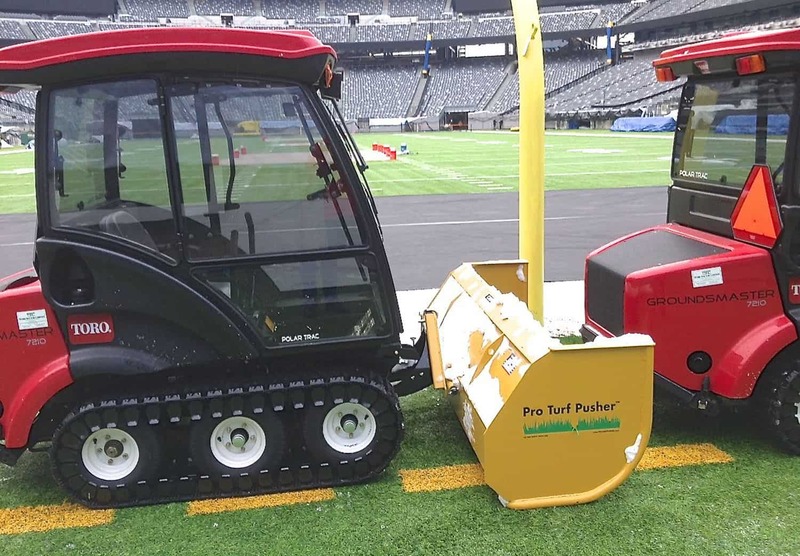 Since being introduced several years ago, the Turf Pusher has quickly gained popularity and is currently in use by professional sports teams, colleges, and high schools across North America. 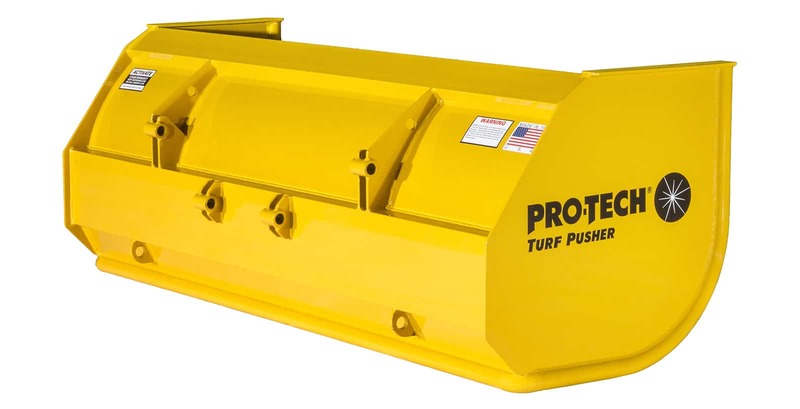 The Turf Pusher is available in 6’ and 8’ models for skid steer, compact tractor, and UTV. 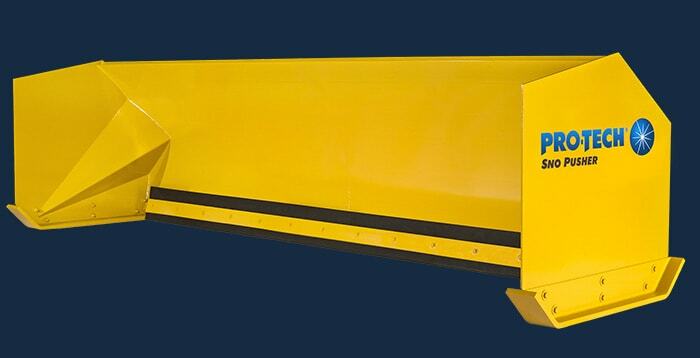 Event delays or cancellations can be frustrating and sometimes expensive. 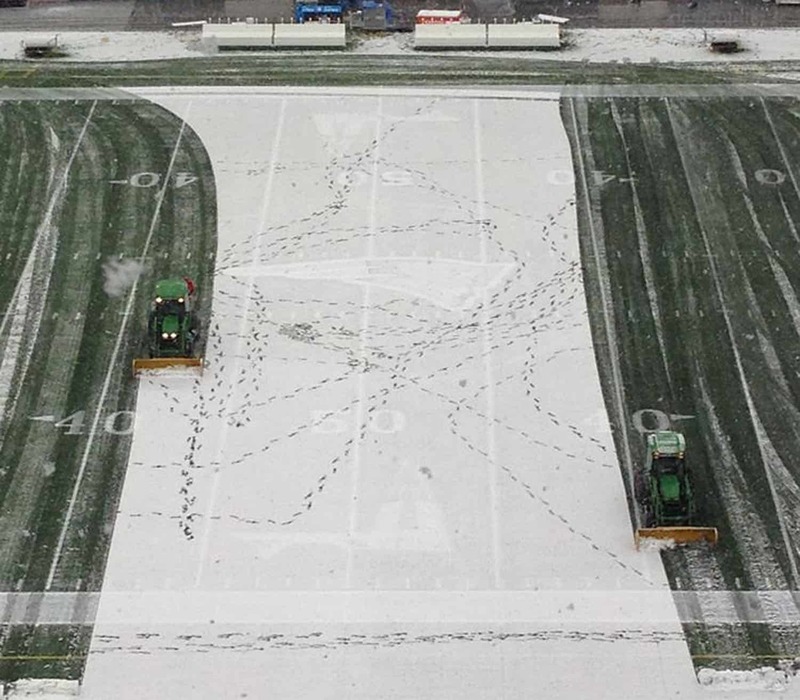 Snow can often wreak havoc on not only grounds crews but players as well. 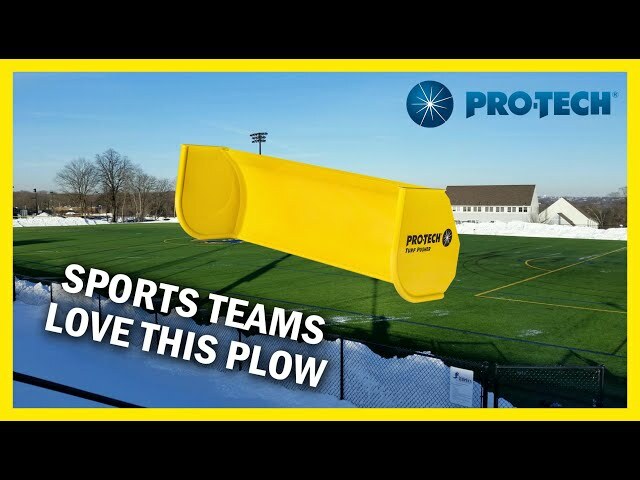 For smaller schools, athletes would much rather be practicing their sport than shoveling snow from the field. 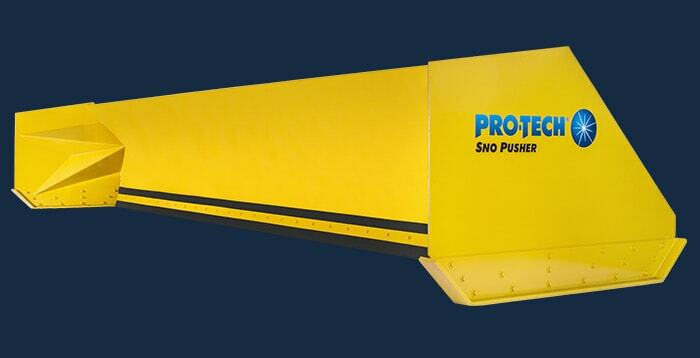 The Turf Pusher has saved the day for many schools allowing them to keep things on schedule. 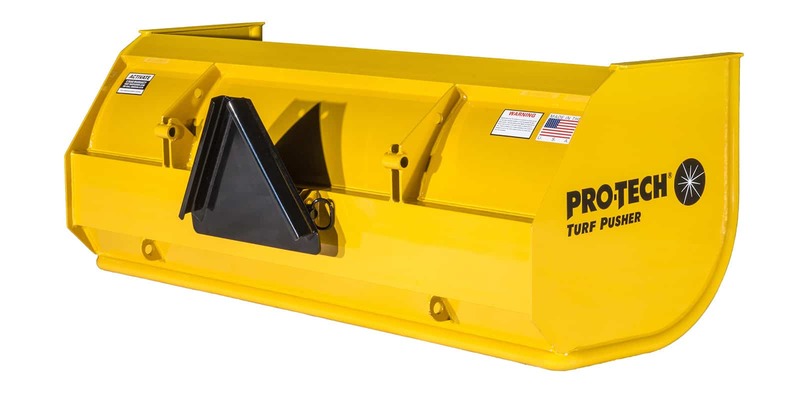 The Turf Pusher’s pin-on coupler design allows you to easily swap connection types if you change machines. 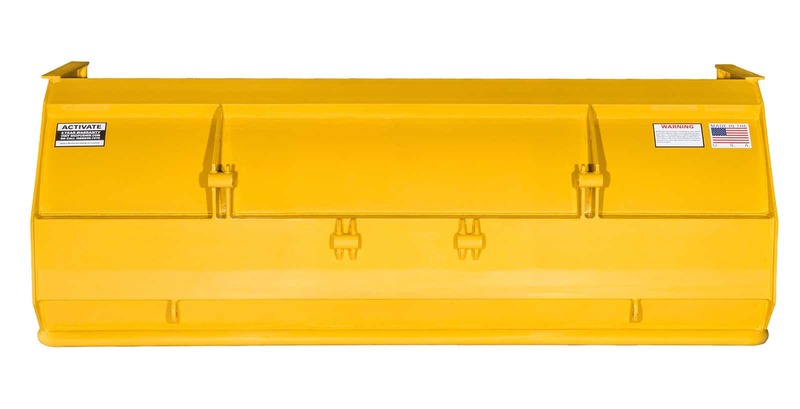 Choose from over 12 connection types including universal, euro, John Deere, Toro and more. 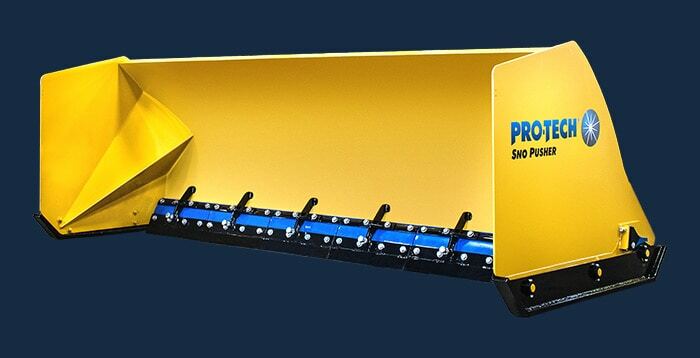 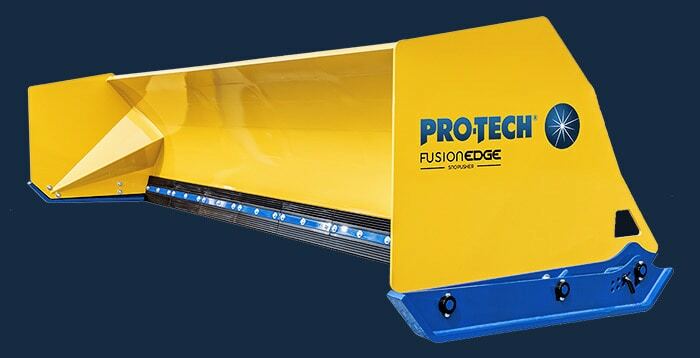 The Turf Pusher uses a metal-tubed-edge, which instead of a traditional plowing edge, glides over the surface with minimal to no surface disruption. 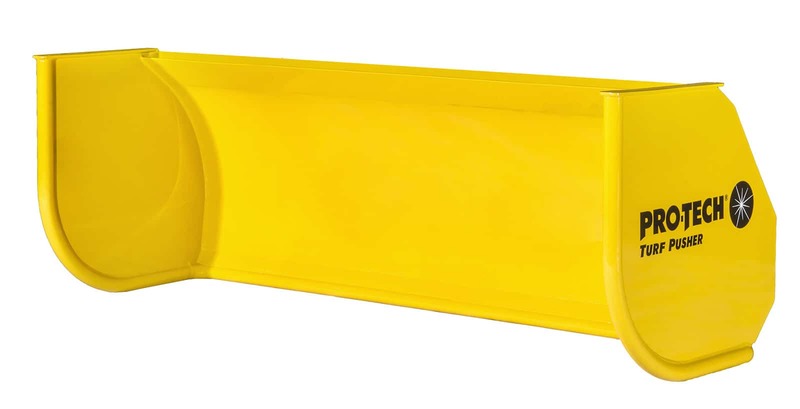 Grounds crews finally have a consistent solution to snow removal instead of taking risks with PVC pipes and other “hodge podge” methods. 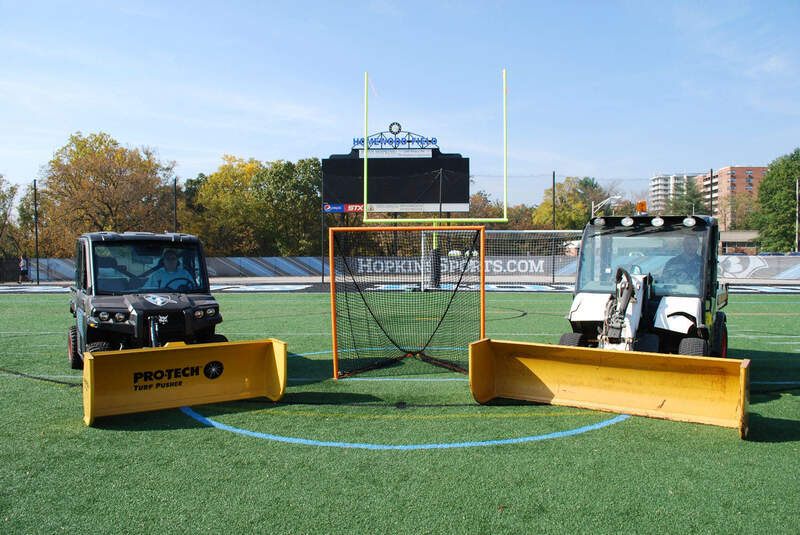 During the winter, it’s common to see the Turf Pusher on nationally televised sporting events. 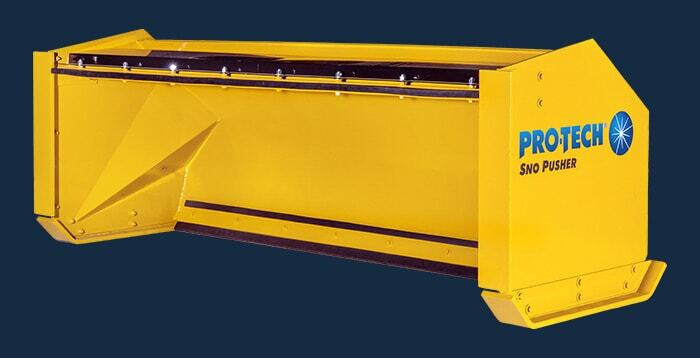 Since being introduced, some of the biggest names in sports have used the Turf Pusher with great success. 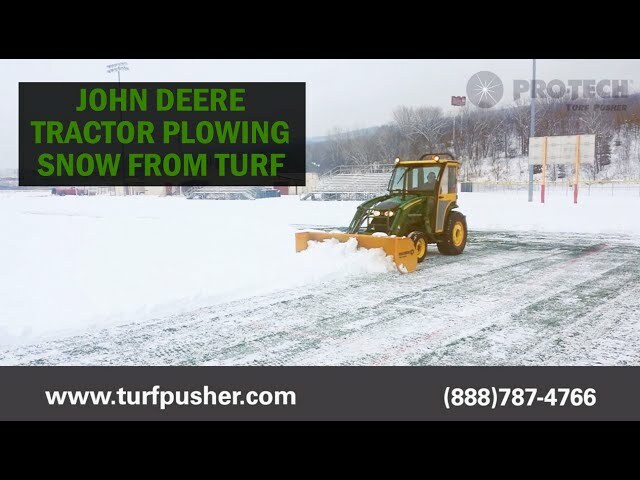 In fact, many artificial turf manufacturers recommend that if you have to remove snow from their fields, you do it with a Turf Pusher. 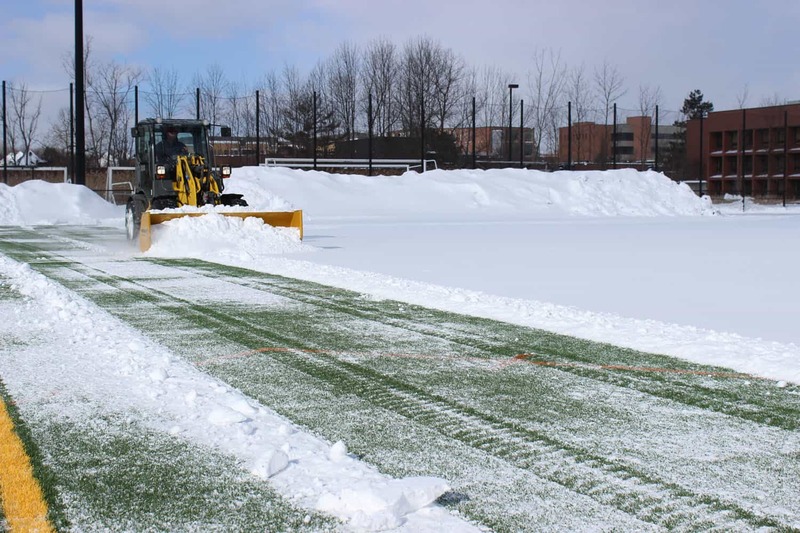 "Two days after Blizzard Juno, our turf field was cleared of over a foot of snow and we were able to practice outside. 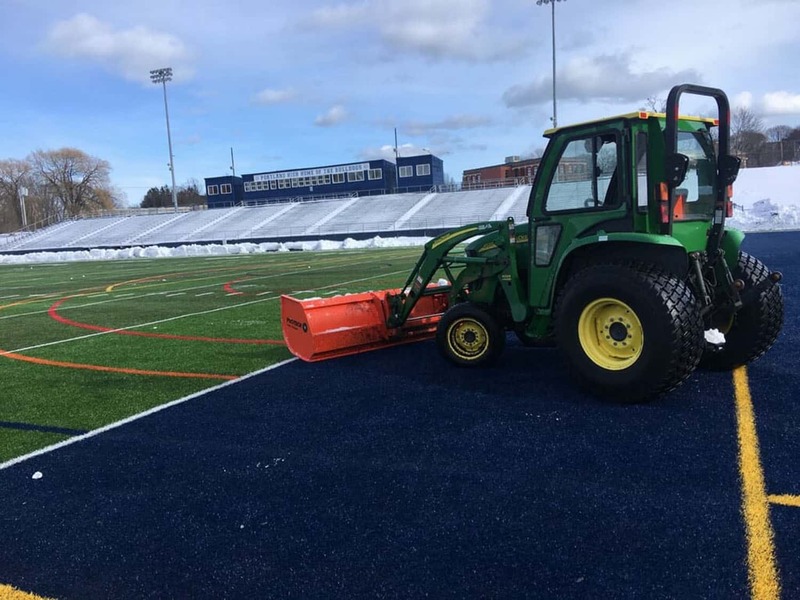 I would imagine not too many Colleges/Universities around New England were able to that, giving us an advantage over our competition…all thanks to the Turf Pusher and our excellent Facilities Department." 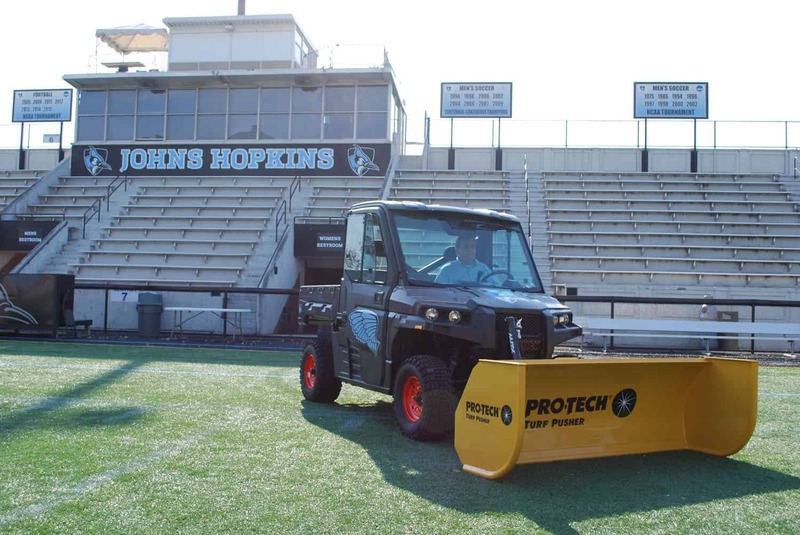 "We've tried PVC pipes, PVC pipes wrapped in rubber, rubber plow blades and nothing compares to the performance of the Turf Pusher. 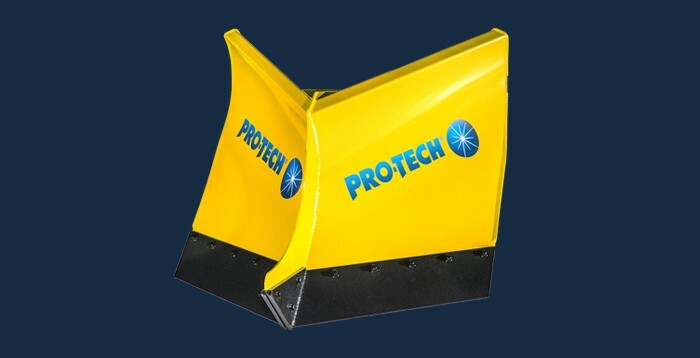 This is not only the best way to remove snow from your turf but it is also the safest way to remove the snow." 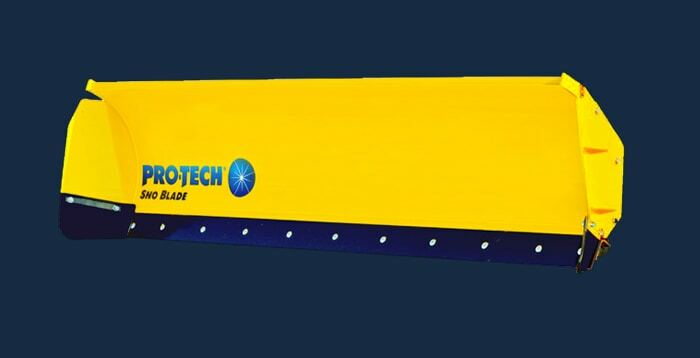 "To date we have three Turf Pushers which have worked great. 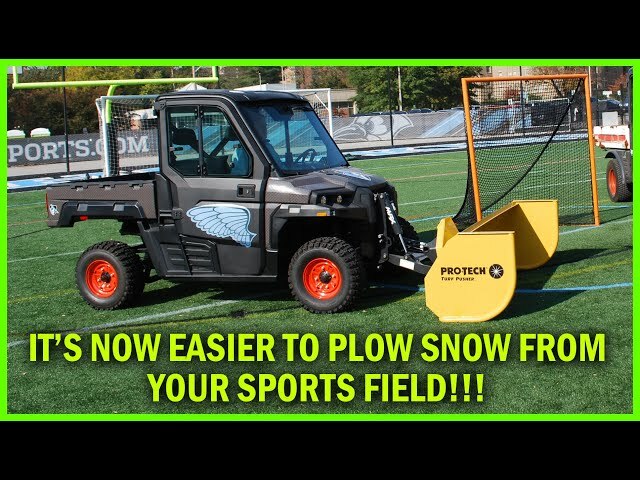 I would recommend them for use on any synthetic field. 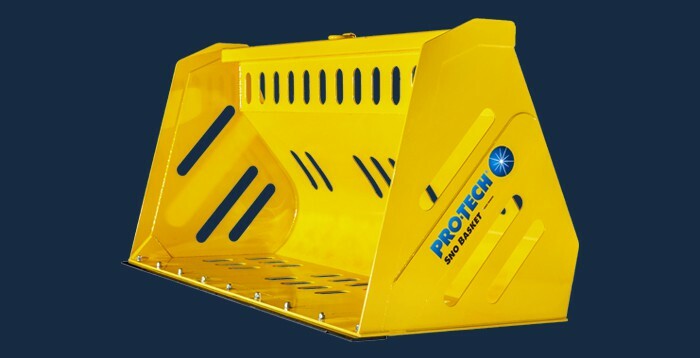 They are easy on the turf and also easy to use."